Your Guide To Drinking This Weekend: The Aviation | Birth.Movies.Death. A tasty, bracing and refreshing aperitif or front porch sipper. 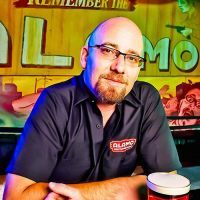 Get the history and recipe from the Alamo Drafthouse beverage director! But, interestingly, for years most of the cocktail illuminati were making the drink wrong, relying on a later recipe that omitted a key ingredient because the source recipe was long out of print. To make matters more difficult, that key ingredient was long extinct, so when the proper recipe was unearthed, it was difficult to make the drink properly. Happily, both problems have been corrected, and though the original recipe can bear some tweaking for the modern palette, the Aviation is damn tasty, bracing and refreshing, and, when done properly, a perfect aperitif or front porch sipper, quick to make and easy to enjoy. Even if you think you don’t like gin. In the early years of the modern cocktail renaissance, the Aviation was usually based around a recipe found in the Savoy Cocktail Book, Harry Craddock’s 1930 book that is something of a cocktail Rosetta Stone. Craddock, like many early writers on cocktails, was wont to steal wholesale from those who came before him, and The Aviation, which Craddock had as 1/3 of lemon juice, 2/3 gin and 2 dashes of maraschino liqueur, was lifted from Hugo Ensslin’s Recipe for Mixed Drinks, first published in 1916. Ennslin had the recipe as 1/3 Lemon Juice, 2/3 El Bart’s Gin (El Bart is no more, and was an advertiser in Ennslin’s book), 2 dashes of maraschino and 2 dashes of Crème de Violet. It is not known if Craddock dropped the Violet on purpose, or if it was a typo as he or his editors were cribbing from one source or another, but the omission proves key. 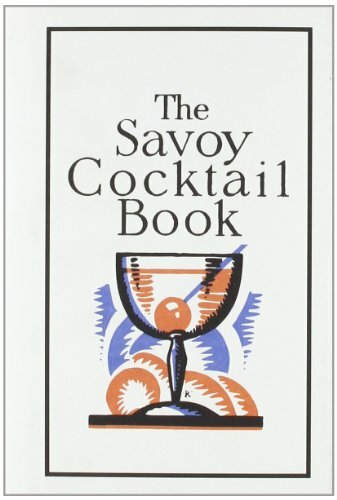 As bartenders began to experiment with older, forgotten drinks, Crème De Violet was nowhere to be found, production having been halted in the 1960s, and the first formula to gain traction was the Savoy recipe, largely based on an adaptation by Gary Regan that called for two ounces of gin to a half ounce each of fresh lemon juice and maraschino liqueur. Regan’s version, which significantly bumps the liqueur content, makes for a rounder, easier drinking version than either Ennslin’s or Craddock’s, which are both short, shop tonics, distinctly skewed towards sour, and, to many tastes, not as pleasing. But it is the Crème de Violet’s omission that is most glaring. Almost from the moment that the Wright Brothers lifted off from Kitty Hawk in 1903, Americans had a fascination with powered flight, and by 1916, aviation was officially known as a “sport,” attracting press coverage that fanned the obsession. That obsession only grew as aviators like Amelia Earhart and Charles Lindbergh became celebrities over the next decades. It is almost impossible to grasp how thrilling the idea of manned flight must have been, and how well it played into ideas of the American archetypes, but the Wild Blue Yonder was something that pulled at the very core of American longing, and it is Crème De Violet that lends an Aviation a light blue, almost pale purple, hue, reminiscent of a clear sky in that time photographers call The Magic Hour, when the light is just so, a cocktail is appropriate, and a bi-plane needs to come in for a landing before dark. A Note on Ingredients: What is this Violet Stuff? Without Crème De Violet, an Aviation is just a variant on a sour, albeit a tasty one, where the maraschino liqueur stands in for standard sugar, and lends some funky complexity. Crème De Violet is an ancient liqueur, originally produced in the various countries that span the Alps, made with either a neutral spirit base or brandy or both, infused with violets, various spices, and sometimes a hint of vanilla or citrus. The largest American producer was Crème Yvette, which halted production in the late 1960s, but was recently resurrected by the founder’s grandson (who also happens to produce St. Germain Elderflower Liqueur), but there were numerous other producers, particularly in France and Austria. Crème Yvette is excellent in a Blue Moon cocktail, which is essentially a drink built on the Aviation formula in which the Yvette stands in for the maraschino liqueur. For use in an Aviation, Yvette is perhaps too sweet, with too much vanilla. After the original Crème Yvette folded, the only ways to lay your hands on a bottle of Crème De Violet was to get extremely lucky and find old stock somewhere in the States or travel to Europe and hope to find a bottle there, but even in the Alps, it was difficult to track down. Enter Haus Alpenz, a godsend to bartenders and drinkers everywhere, who began to import Rothman and Winter’s Crème De Violet in 2007 (and paved the way for the return of Crème Yvette). The deeply floral R&W Crème de Violet is made from Queen Anne and March Violets infused into grape spirit and sweetened. On its own, its flavor is reminiscent of Choward’s Violet Gum, and it is not particularly enjoyable. But, used judiciously as in a proper Aviation, the floral notes dance around the gin’s botanicals and the funky maraschino to lend a deep, almost perplexing complexity that constantly calls for another sip. Used without restraint, however, and it will make your drink taste like your grandmother’s vanity or hand soap. A bottle should last a good long while, even for dedicated Aviation freaks. Among the sort of people who care about these sort of things, there has been some fierce debate about whether or not the modern standard recipe for an Aviation should still be called an Aviation, given that it deviates fairly significantly in proportion from the source recipe. If you are so inclined, feel free to mix them both and see which you like best, but know that if you belly up to most bars worth their salt, you are going to end up with a drink more tailored to the modern formula than what Ennslin first called for, as the Ennslin recipe is distinctly sour and difficult for many to stomach. Combine all ingredients in a mixing glass with ice and shake until very cold. Strain into a chilled cocktail glass. Serve without garnish or drop in a real maraschino cherry.